I have discovered a new way of reading. Allow me to explain. In the past, if a book mentioned something I didn’t know about I would generally just ignore it, remaining in blissful ignorance. Now, I just whip out my phone, google what I want to know, and find the answer instantly. There’s probably a funky name for this, but until I Google it, I’m calling it ‘interactive reading’. I first realised this was ‘a thing’ when reading The Sixth Extinction (a chillingly exciting thriller) and found myself constantly turning to my phone for answers to questions like how does a tiltrotor fly? And, what does a mesa look like? In my next book, The Underground Railway, I discovered (again thanks to Google), that in the 1800s parts of the United States were criss-crossed with illegal underground train tunnels which allowed slaves to escape across state lines and national borders. Most novels don’t explain in detail how these historical or geographical concepts worked so googling is the obvious solution. Having read many books about people’s lives, I found myself becoming a bit ho hum so often, memoirs full of facts and figures, massaging egos, name dropping, an almanac of dates, scores more designed for the record books than a brain stimulating, ‘damn good read.’ So it was I first sat down with this sizeable tome. What, no photos? This could be hard work I initially thought. I was parked up in a DoC camping ground on the West Coast when I first made a start on the book and by evening, as the light faded, I realised I had not stopped all afternoon and was now halfway through. What an interesting man with an interesting approach to telling his life story; a very perceptive and analytical way, with carefully chosen words and many clever passages from the heart of the writer, in much the same way as artists in other fields display special qualities. It took him seven years to complete the book. It’s easy to see why. Growing up a Catholic in New Jersey sets the foundation for his later successes, for life in his neighbourhood presented much darkness and many challenges. “I was reticent and would remain so, but I needed to find out what I had. Forty years later I did not want to be sitting in my rocking chair on a Sunday afternoon with the, woulda, shoulda, coulda blues. All I could think of was my dad covered in a cloak of cigarette smoke lamenting he could’ve taken that job with the phone company but would’ve had to travel. So instead, it was lights-out, the blues, beer, and resenting his own family for what he thought he might’ve accomplished. Dead meat.”His drive to become a successful musician with a successful band and hit songs drove him relentlessly. His strategy throughout was the 1+1=3 approach, making something extra special, when you add something on! Much of the book is about the people and the ways he achieved such successes. 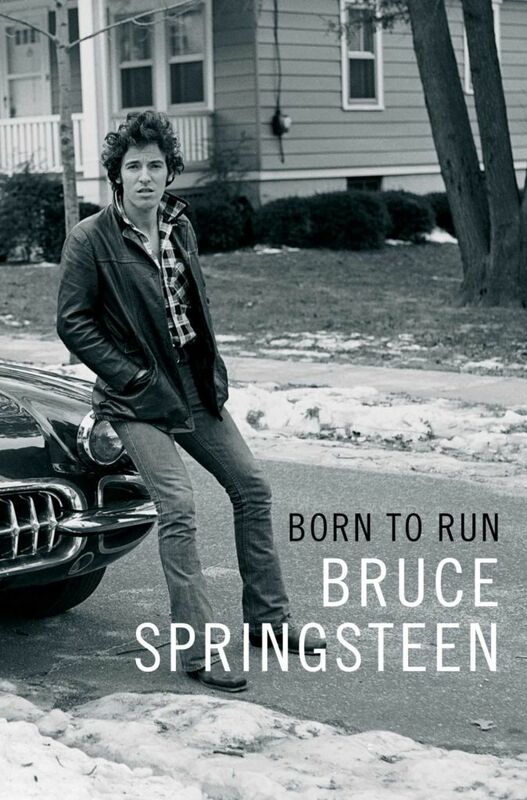 As soon as I got home from my camping trip, I headed for my vinyl collection from the 60’s and 70’s and put on Born To Run, his first big breakthrough moment. 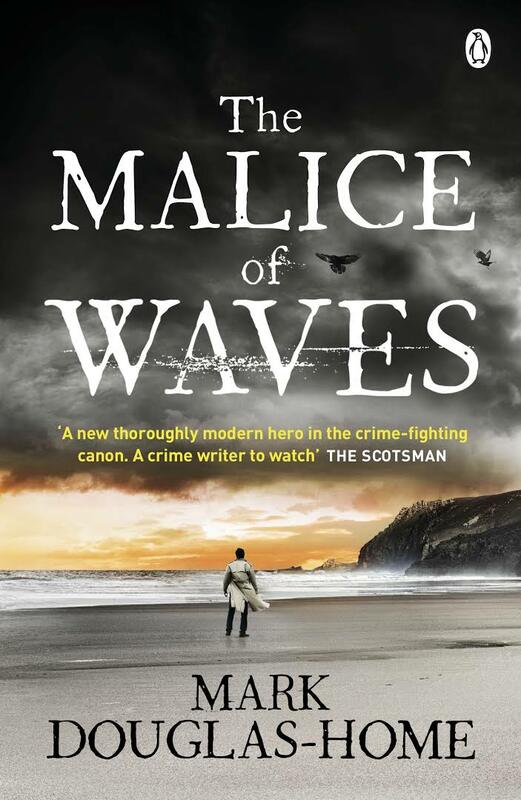 Then it was time to pick up the book again – in doing so I suddenly realised why there are no photographs throughout the script, as there is no need for them. His words say it all for our minds to visualise and our brains to digest his amazing achievements. As I finish writing this, I regret not having booked for one of his concerts in late February at either Auckland or Christchurch. Of course he will be up front getting all the praise and applause but please read this book before you attend, then you will realise the concert is thanks to his father (Dead Meat), the many musicians that have gone before, his E Street band, the lessons along the way, and the magic formula, as well as his many hours of practice and persistence. What a read. What a man! Something most peculiar happened when I began reading Protecting Paradise and talking about it with others – the knives came out. On both sides of the debate. As a 1080 novice, I was gob-smacked by the intensity of feeling that this subject engenders. Even in people who are otherwise open-minded. I also started to notice debates about the issue appearing in all kinds of publications. No question, it’s a hot topic. In the interests of self-disclosure, if you’d asked me which camp I was in before reading this, I’d have confidently said, ‘Against’. 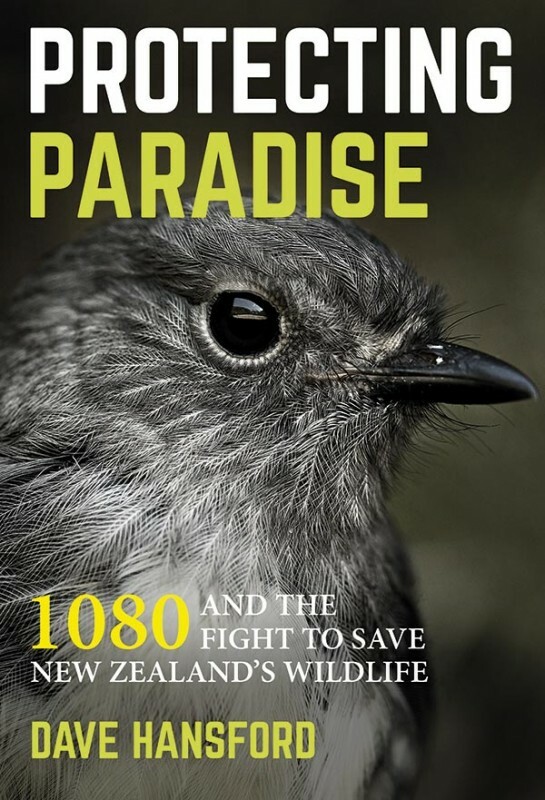 But Protecting Paradise gave me an awful lot to think about and by the time I’d finished I’d decided … well, you’ll need to read it too to find out. The author is no hot-head out to make a buck from Kiwis’ divided opinions. He’s a long-time, highly respected science and environment journalist who’s reported for the likes of New Zealand Geographic and Radio NZ. But he’s also worked for DoC so he is well versed in both sides of the argument. His approach to the book is rather like a well-researched magazine article – a clear look at the facts and figures from both sides of the argument. He quotes research and studies but in a readable and entertaining way that is as unlike academic tomes as it’s possible to be. But don’t get me wrong. It’s not a bright and breezy read. You need to concentrate as you sift through the evidence to decide for yourself whether 1080 is the villain or the hero. I’ve read at least a dozen books since finishing Good Me Bad Me but can’t get it out of my head. I’m not sure what that says about me because the subject matter pertains to having a mother who is a serial killer. Of young children. Take a moment to think about that and consider what it might be like. But no matter where your thoughts take you, you won’t even have begun to conceive how much that would mess with your head. This (hopefully fictional) book is written from the perspective of the serial killer’s teenage daughter, who finally dobbed her mother in to the police and is now waiting to testify at her trial. The details of the killings are mercifully kept indistinct so if gory details of hacked-up bodies are your idea of a good read, don’t bother with this. 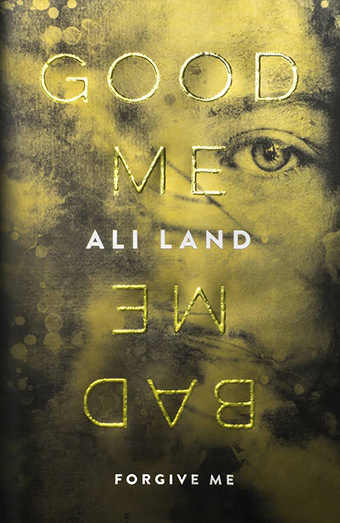 But if you like your fiction to leave a little to the imagination, to make you do a little work to put the pieces together, then Good Me Bad Me will fit your reading bill. The book is being hyped as likely to be “one of the most extraordinary, controversial and explosive of 2017” and I’m inclined to think that might even be true. It will stay with you long after you’re finished because when you’ve spent more than 300 pages inside the head of someone who has been party to atrocities on an unimaginable scale, you will never be the same again. 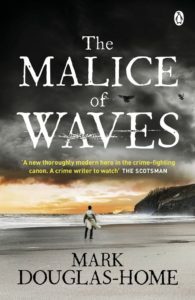 From the outset this book is first class, with stunning cover design and high production values throughout. More than that, it is a compelling and absorbing read. Whether interested in fishing or social anthropology, Te Matau a Māui is going to provide fascinating reading and challenge many’ assumptions’ and urban myths we live with today. Those believing the circle or recurve hook is a recent invention may well be surprised to learn that it was the preferred design of Maori a millennium ago. The ubiquitous and clichéd carved bone fish hooks we see adorning people today have given rise to the misconception that many design were ceremonial only and lacked any real function or efficacy. 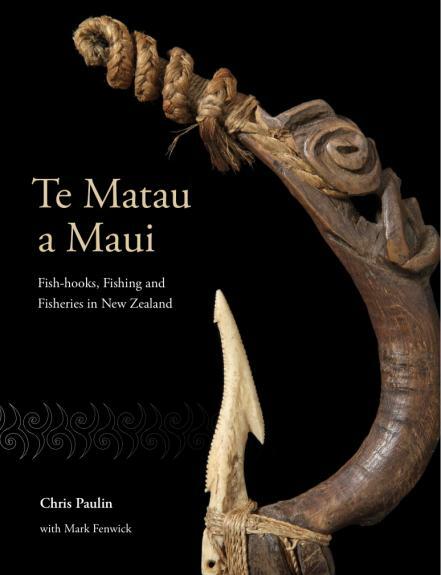 However, as Chris Paulin adeptly reveals through extensive research and informative text, the early Maori fishhook represented a masterpiece of design that was unsurpassed anywhere in the world and remarkably efficient – the equal of an modern steel hook. In fact, it took historians almost a quarter of a millennia to realise that early hooks operated to ‘trap’ the fish rather than ‘hook’ it. To assume that Maori fishing was a primitive affair is also incorrect: it was, in fact, an intrinsic part of the culture, very complex, organised, and highly skilled. For example, Maori fisheries were not localised and limited to inshore as many believe, but also encompassed quite distant offshore fishing grounds. If you have watched YouTube clips of fish leaping into boats and think its a modern marvel, consider this: it was a common technique by which Maori caught grey mullet over a century ago. From hooks to trolling lures, fish gorges to mile long Maori seine nets, ceremonies to intricate fishing rights, Te Matau a Māui is a veritable Aladdin’s Cave of fishing treasures. 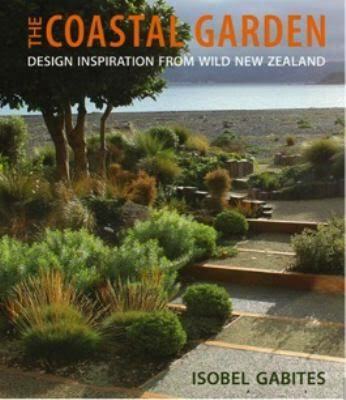 Illustrated throughout with plenty of colour and B&W photos, this book is a tremendous resource as well as being a great read. A must have. Specialist safari cameraman, Steve Couper, is the man behind Stealth Films, a small New Zealand company dedicated to producing quality hunting and fly fishing DVDs, and still photography. With a number of DVDs to his credit, including Flashing Antlers, Himalayan Tahr, and Stealth with a Fly, Steve has just released his latest, Off The Tops and Into The Trees. As with Stealth’s previous titles, the most obvious trait is professionalism: filming, editing, and production. So it is a quality product worthy of a price tag and in a different league to social media and YouTube footage. 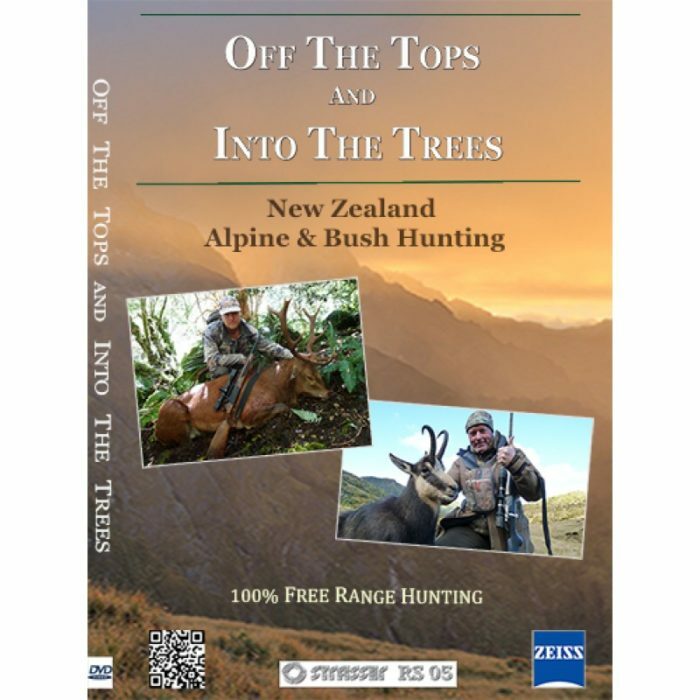 Off The Tops and Into The Trees reintroduces the viewer to hunter, Grant Banhidi, who embarks on two very different ROAR hunts: open tops stalking in Otago and a rafting hunt in Fiordland. From the outset the photography is excellent and Steve is skilled at setting the scene and building the framework of a story with the camera. He captures the essence of hunting the ROAR in disparate surroundings and with deft use of camera and editing, creates an interesting subtext of ‘man alone in the wilderness’. Grant is comfortable in front of the camera and does a good job of carrying the viewer with him through ‘piece to camera’ dialogue, useful tips, and up close encounters with belligerent stags. A difficulty with one-hunter situations and monologue, is that it does create a linear storyline that can feel one dimensional. It would be nice to see Steve introduce voice overs into his work, as I think it would add depth and richness to his nicely crafted storylines. It would also lessen the temptation to rely on ‘hunt summaries’ over the carcass, because explanation and additional information can be overlaid by a narrator, obviating the need for the hunter to explain himself after the hunt. The DVD also features a West Coast chamois hunt with Tim Buma, again a solo foray. As with the previous hunts, this is beautifully filmed, informative, entertaining, and typifies what alpine hunting is about. It also proves that Steve understands this genre, which is borne out through post production and editing: judicious use of appropriate music to set ambience, use of natural sounds to give the story texture and momentum, obvious use of quality sound equipment and camera gear, nice cut away shots, and use of flora and fauna shots to give depth to the storyline. Nicely done. Off The Tops and Into The Trees is worthy of a place in the hunter’s DVD library. Volume eight in the popular New Zealand Big Game Records series and epitaph for the well respected Bruce Banwell, The Himalayan Tahr has been eagerly awaited by collectors of the series and alpine hunters alike. 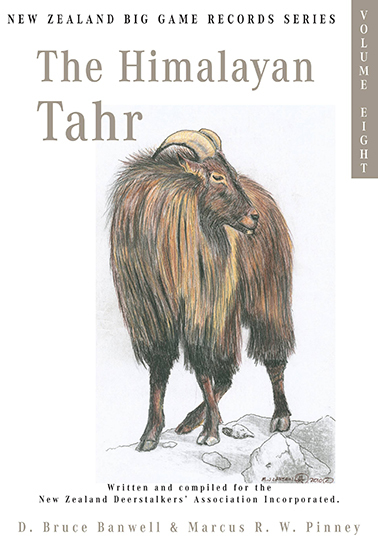 From the outset, the book, through its title, puts to bed the controversy of the spelling of tahr – not thar. It then continues in the authoritative style that has become trademark Banwell. 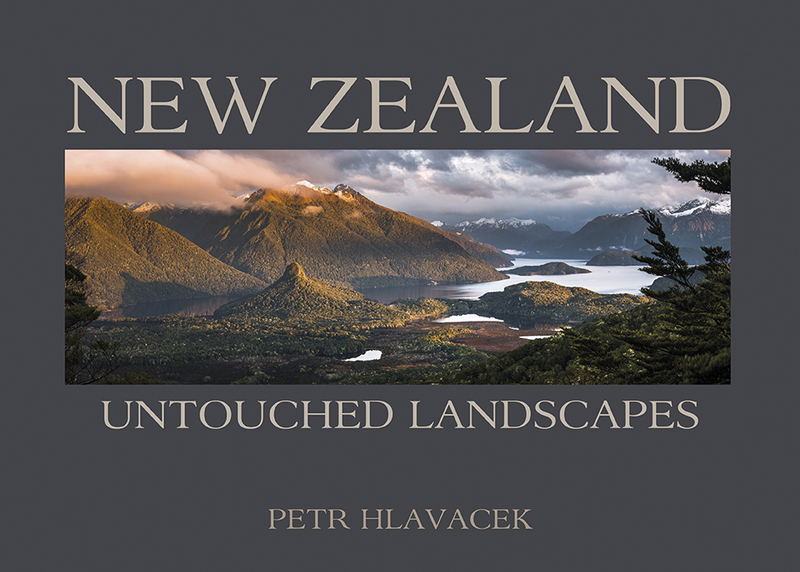 The only divergence from previous titles in the series is the co-authorship with renowned South Westland guide and accomplished alpine hunter, Marcus Pinney. When Bruce was diagnosed with an inoperable brain tumour, he chose Marcus to complete his work, a task he achieved admirably and professionally. Ironically, or perhaps serendipitously, both Bruce and Marcus hunted their first tahr on Mesopotamia Station in the Rangitata River. This tenuous connection gives the book a subtle synergy: two generations of hunter who share similar respect, ideals, thoughts and criticisms regarding tahr, their value, management and status. Divided into two parts, The Himalayan Tahr becomes an extensive reference guide for tahr hunters, nature lovers, and biologists, and forms a valuable historical record of tahr in New Zealand. However, it is far from dry reading. Part one deals with the history, origins, and nature of tahr internationally, including the laying to rest of the tahr argument, something that was obviously a professional if not academic thorn in Banwell’s side for may years. It is fascinating reading that should engender even greater respect for this magnificent game animal amongst hunters and the wider, discerning public. Part two focuses on tahr in New Zealand, from a historical perspective covering establishment, distribution, and range, the commercial recovery era, and thoughts on helicopter assisted ‘hunting’, through to hunting techniques and tips. A good portion of this section is given over to the value of tahr as a trophy animal, a look at significant trophies, and an index of records. Well supported by colour and B&W photographs, both historical and contemporary, The Himalayan Tahr is a well-produced, comprehensive book that is richer for Pinney’s involvement. The only disappointing weakness is the cover design – the illustration fails to do justice to the book or this magnificent alpine animal. A highly recommended read and deserved of a place in every hunting or outdoor enthusiast’s library. As a child growing up in various parts of New Zealand I never experienced an earthquake until I was married with a young son. We were living at Paekakariki, right slap bang on a major fault line – as I found out later – when we were hit by a biggie in the middle of the night. Things fell from shelves as we headed for the back door, with a wee baby in my arms. Terrifying stuff. 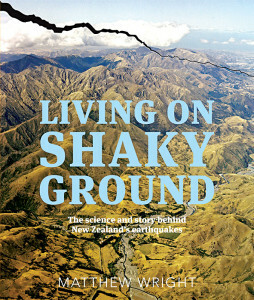 Reading Matthew Wright’s comprehensive book “Living on Shaky Ground,” now I know why I’d never experienced an earthquake before this. The simple reason is … there weren’t any! Following the infamous Napier earthquake of 1931 (magnitude 7.8), the only others of significance were in 1934 (magnitude 7.6) and 1942 (magnitude 7.2), both in the Wairarapa. Then out of the blue, 26 years later, the big one of Inangahua (magnitude 7.1) struck, followed by another biggie in 1987, this time in Edgecumbe. Things appeared to settle again until Christchurch was hit in September 2010 (magnitude 7.1), followed by a series of powerful aftershocks in the area as well as other biggies in Seddon, Eketahuna and Hawke’s Bay since then. 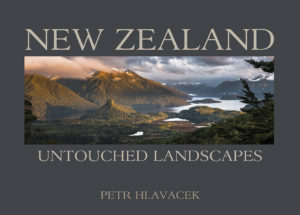 Not only does the book devote detailed analysis of each significant event, in particular the Napier and Christchurch events at length, it also explores the reasons why earthquakes occur, why more in some regions than others, the historical records dating back to pre-European history, the work of seismologists and their technology. The book is very readable. An interesting story, it also serves as a valuable reference book and text book for the academic. Supported by many wonderful photographs, many of them historic and maps. This would also make an ideal coffee table book. When I think back to Professor McKenzie and his work on earthquakes for Geography1 at Victoria University in 1967, I can’t help but think how much a book such as this would have made the subject easier – the Kaikoura Orogeny, the Hikurangi Trough, a subducting Pacific Plate and the Australian Plate are suddenly clearly explained. All of which makes me wonder why I now own a home which sits slap, bang on another fault line!